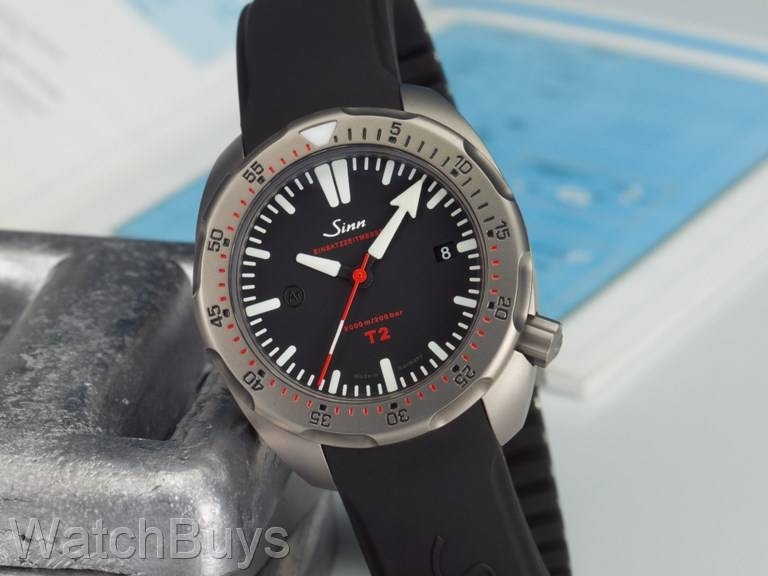 Welcome to the Sinn T2 EZM 15 on silicone rubber strap, featuring a 41 mm case size produced by Sinn in-house in Glashutte, Germany. 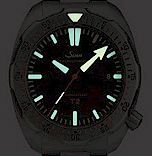 This case is designated with a "T" rather than a "U" as Sinn has chosen grade five titanium as the case metal. The T2 EZM 15 features a matte black dial with date at 3, Super Luminova on the hands and markers, and a striking red seconds hand. Other features include a domed sapphire crystal with an anti-reflective coating on both sides, and a silicone rubber strap with matching titanium buckle. 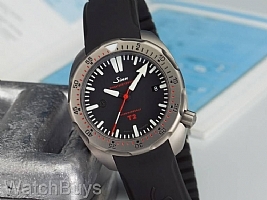 Due to the titanium case construction, the Sinn T2 EZM 15 weighs just 59 grams, without a strap or bracelet attached.